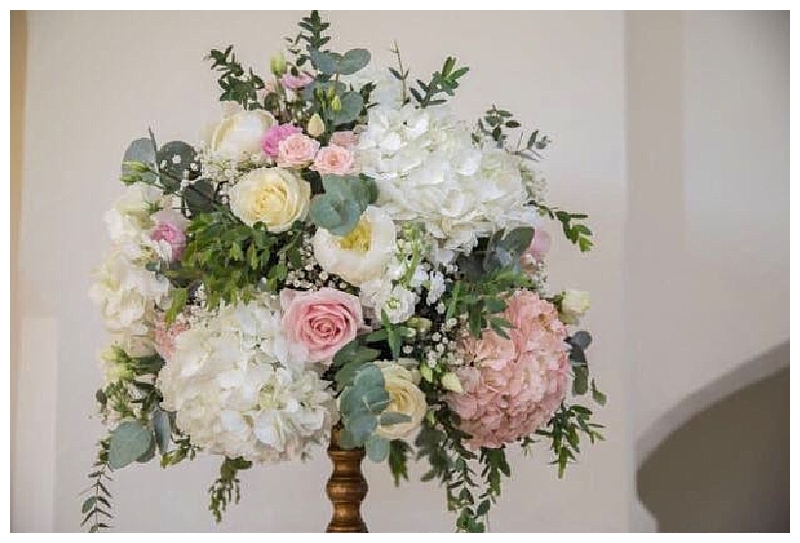 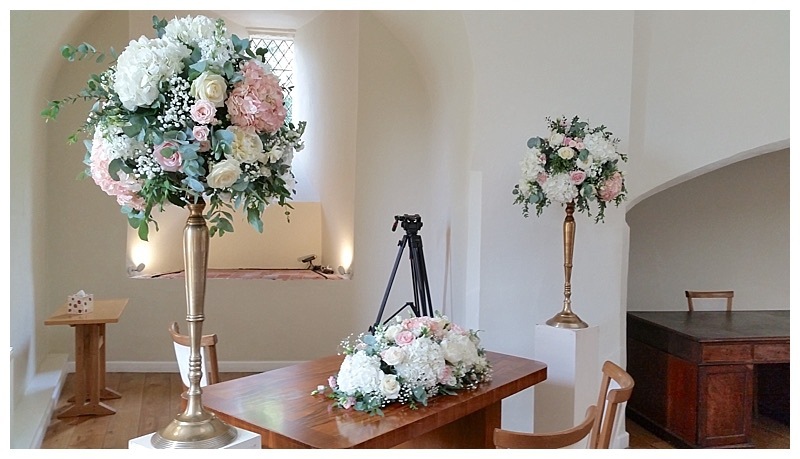 I absolutely adore peonies and scented garden roses so these pretty summery floral designs for Rachel’s wedding at Farnham Castle were right up my street. 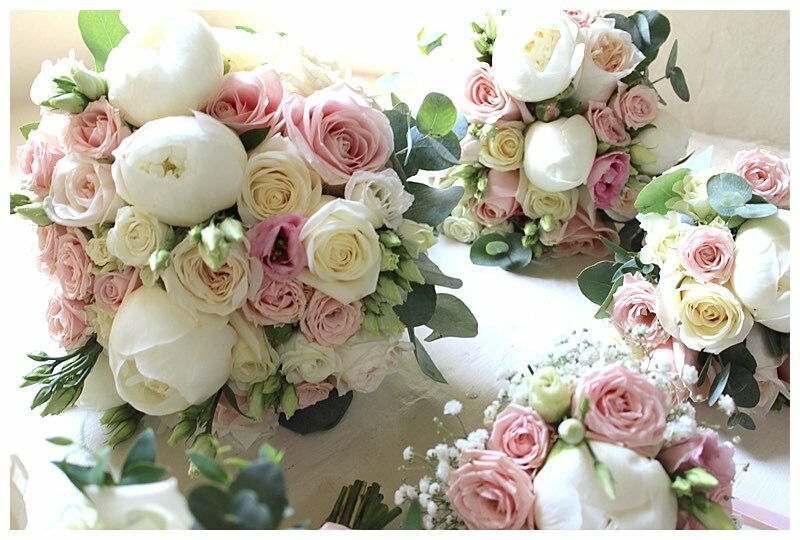 For herself and her adult bridesmaids, Rachel opted for textural bouquets of white paeonies, scented O’Hara garden roses, pretty Sweet Avalanche blush roses, with lots of spray roses, lisianthus and sage green eucalyptus. 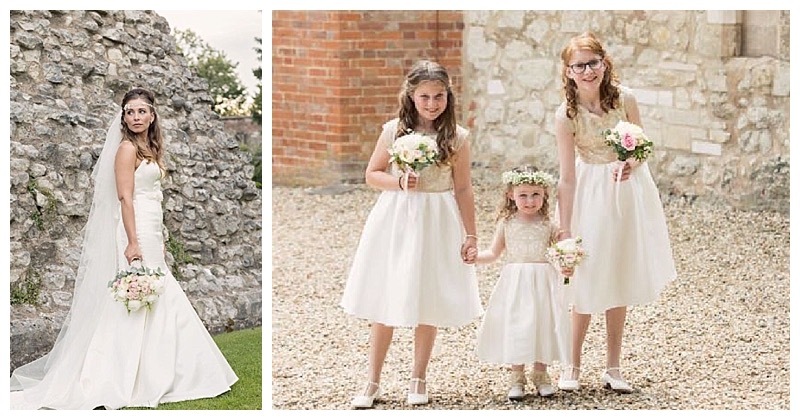 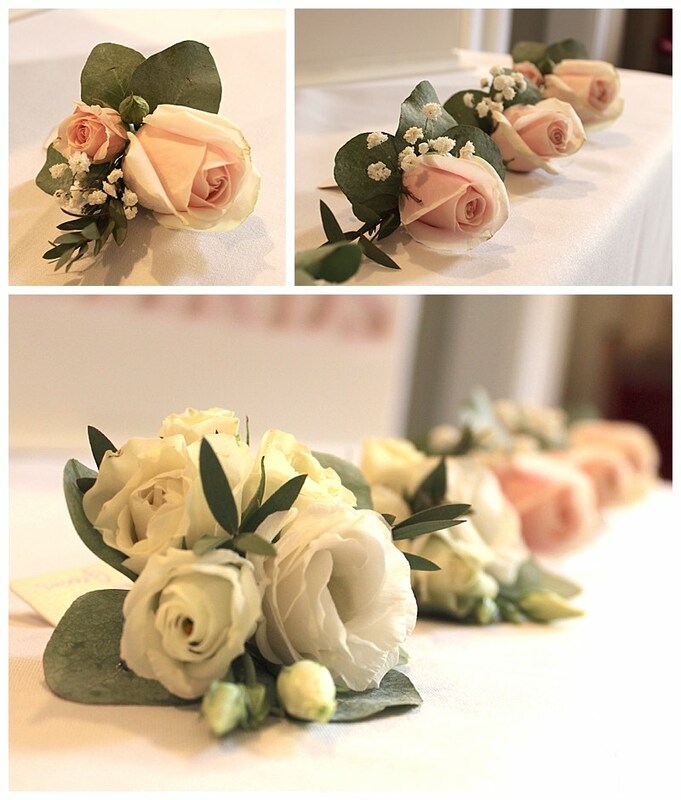 For the young flowers girls’ hair, Rachel chose dainty gypsophila combs or a gypsophila circlet, so to carry on the theme, for the flowers girl’s posies, as well as the buttonholes, a little accent gypsophila added a touch of laciness. 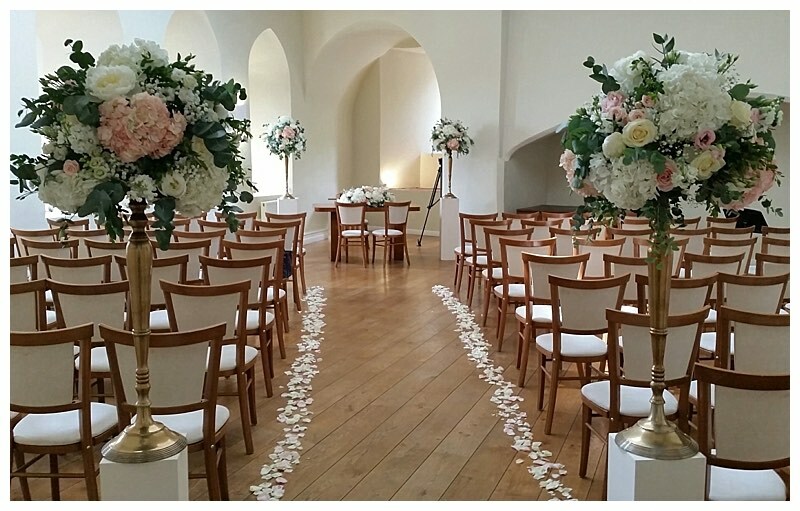 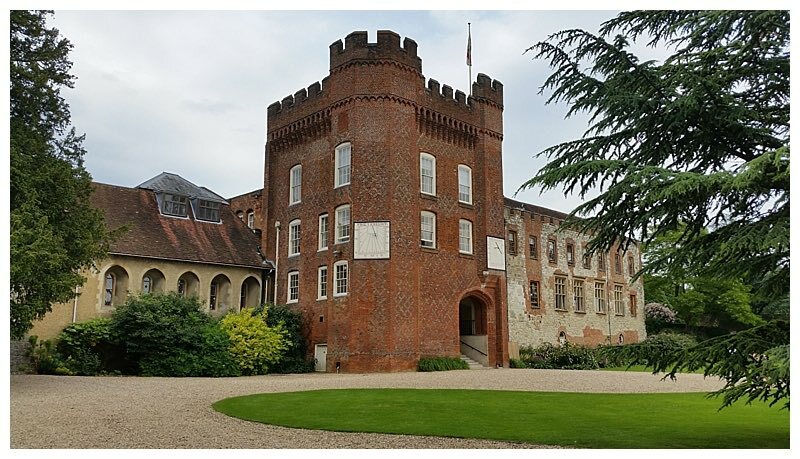 At the beautiful Farnham Castle, the styling was kept simple but so pretty, with a mix of tall antique gold stand centrepieces, and low antique gold rose bowl centrepieces, all of which worked hard throughout the day by dressing the ceremony room first, then the great hall for the wedding breakfast. 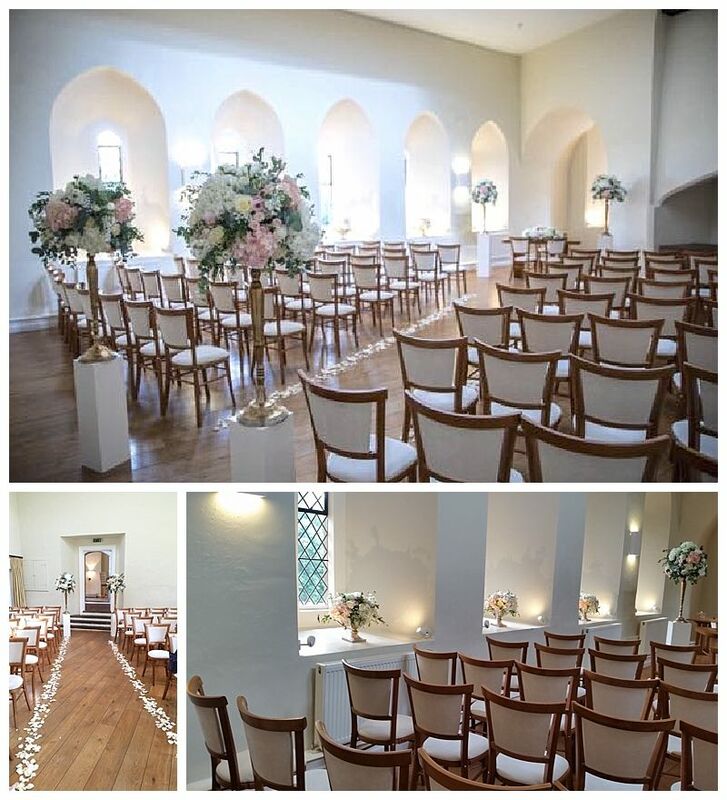 Four tall centrepieces flanked the start of the ceremony aisle and the ceremony table, and 5 low displays were used to dress the windowsills along the side of the Lantern Hall. 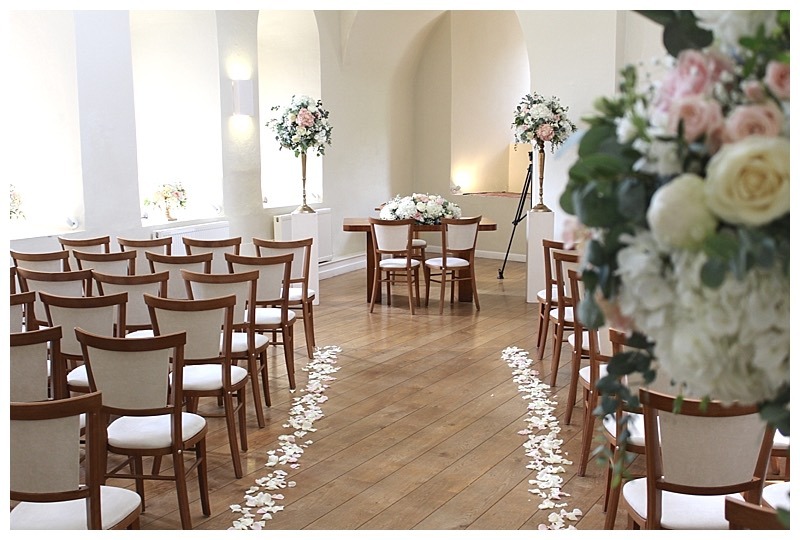 The ceremony table was dressed with a pretty long display and the wedding aisle was finished off with scented rose petals scatter. 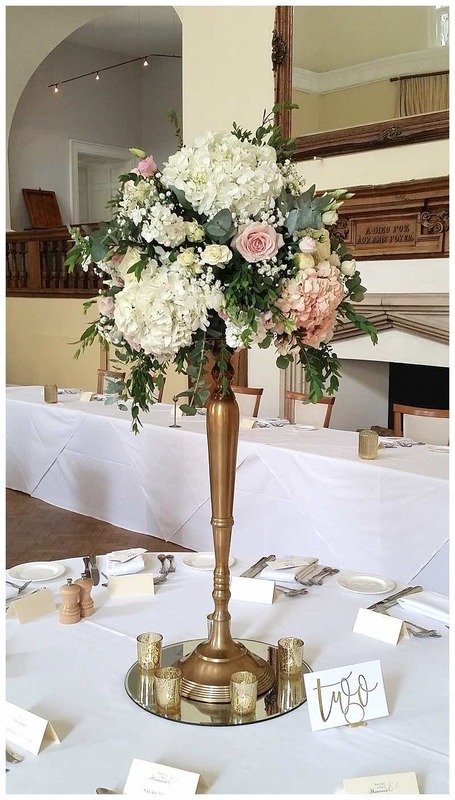 All the beautiful flower centrepieces were reused to decorate the 9 round guest tables and the long top table in the great hall for the wedding breakfast. 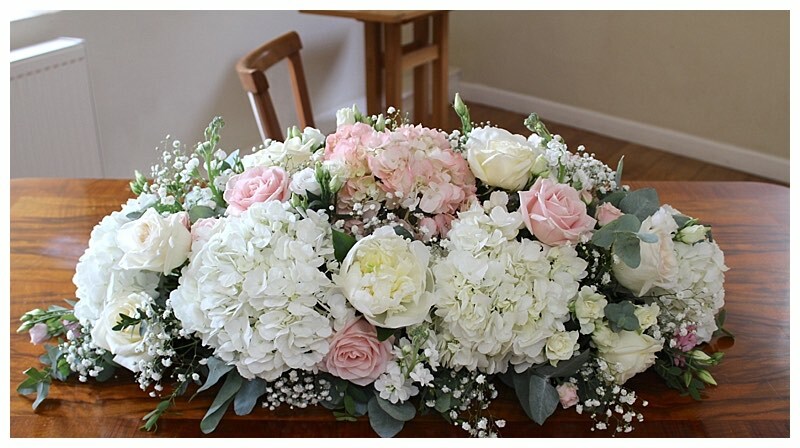 Environmentally friendly to the end, and so so lovely and summery! 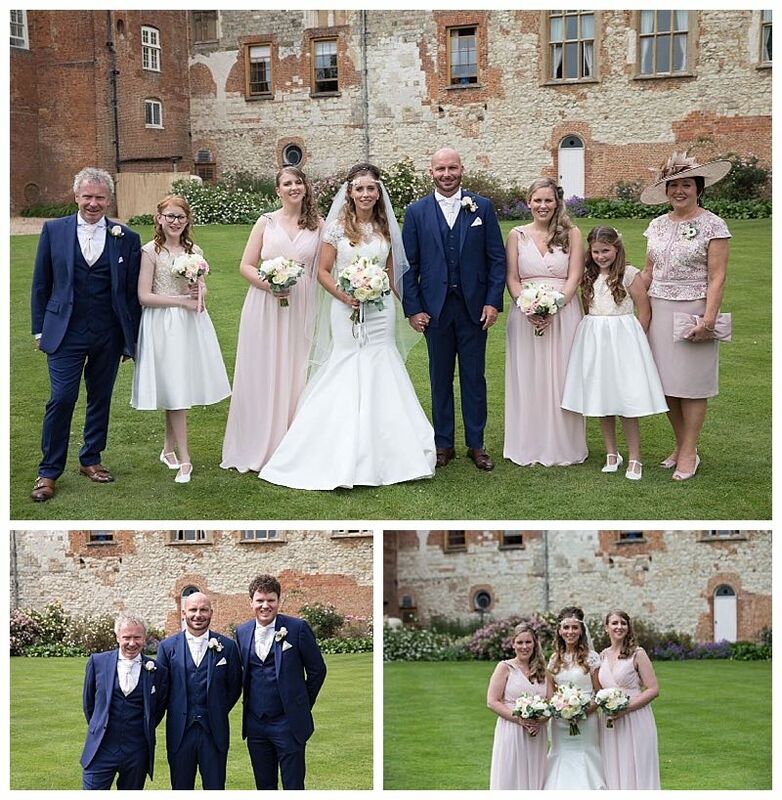 Thank you so much Rachel for sharing these beautiful photos!